What Is a Slum and Slum Housing, Define Slum? 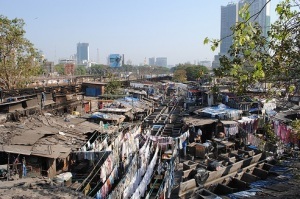 The rapid pace of urbanisation created slums in India. They have become the most complicated problem in our cities. Indian slums and African slums are some of the worst slums found in the world. Urban slum is not a physical problem, it is a physical manifestation of deeper socio-economic problems prevailing in the country. People living in slums render certain essential services in urban areas. They are an important part of our city life. The migrants not only create unhealthy slums but they also deteriorate the urban centres. It is impossible to solve this complex problem without preventive measures. Housing the urban poor is a major challenge of modern cities. Let’s get to know what is a slum actually and what falls under this category of settlement. What is a slum area? To the question of ‘what is a slum’ Slum Area (Improvement Clearance) Act, 1956, enacted by the Central Government of India has given a clear definition; a slum has been defined as “Any predominantly residential area, where the dwellings which by reason of dilapidation, overcrowding, faulty arrangement of design, lack of ventilation, light or sanitary facilities or any combination of these factors, are detrimental to safety, health or morals”. Housing the urban poor is an important duty of the government in a welfare state like India. For politicians, they form an assured vote bank during the elections. Thus their interests and demands cannot be ignored in a democratic country. Whenever we think and talk about slums, we hear that architects are worried about their housing problems, slum life etc; engineers are worried about their services like water supply, drainage, roads and electricity, slum development; sociologists are worried about their social habits and customs, and economists are worried about their economic contribution. Thus the problems of slums of India are cast on an epic scale in damaging the healthy growth of urban areas. To be practical, one cannot do away with them because we cannot remove the entire poverty of the country. We must accept that slum housing is a way of life in our cities. The positive way to solve the problems of slums is to improve the living conditions and stop further deterioration of the environment. 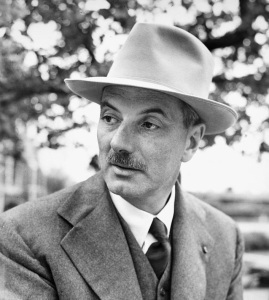 Lewis Mumford, well known urban theorist also known for his writings on the subject of architecture, says “There are two methods by which problems of uncontrolled urban growth are tackled. The direct method is to clear the areas of blight and house the affected population in a decent environment. This is commonly referred as ‘Slum Clearance‘ which means not only cleaning slums but also properly rehabilitating the dis-housed population. Slums can sometimes be widely populated and are usually consisted of people that are not well educated and mostly are daily wagers and work on pay per day basis. Most of the slums over the world are occupied by people with no legal claim over the world and mostly the land belongs to the govt. In India itself govt has to name certain amount of slum area each and every year to the public because of law under which if a person is living over a land for more than 5 years, the land belongs to the same person thereafter legally. 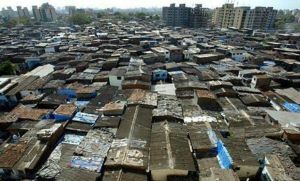 The biggest slum of the world is in Mumbai India with a huge population of more than 10 million people residing in a small place. Most of the houses in Slum Area are kutcha house and they face difficulties in rains thereby having immense medical condition sometimes. What are the Qualities of a good contractor? Terific article! That is the type of information that should be shared around the internet. Disgrace on the seedk engines for no longer positioning this submit upper! Next story What is Design? Previous story What is Architecture? What does it look like?